4.Body finished:smooth or thread with rings. 1. Lamp cord: 2 *0.75mm² Braided woven wire. 1. The normal power cord is XLPE/PVC insulated power cable. 3. Normal length is 6 feet, we can produce any size by custmer requirment. 4. Any plug is ok.
5. We can add plug ,switch and holder in the line as your requirement. In addition to Edison, standard or E26 Brass Light Sockets, we also offer candelabra bases, which are great for use with decorative bulbs in sconces and chandeliers. 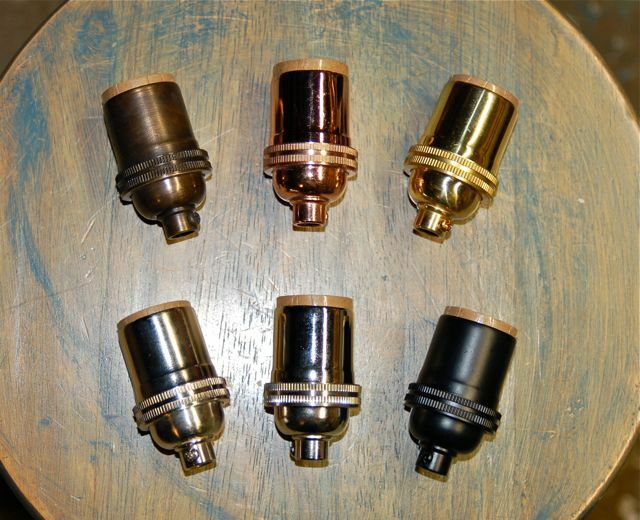 These are smaller than standard Brass Light Sockets, and they are available in several different sizes, materials, and styles. Clusters and cluster Brass Light Sockets are another unique offering, perfect for use on projects that include multiple bulbs. 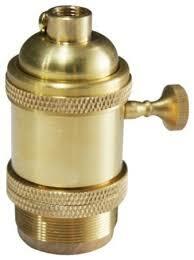 We also have Brass Light Sockets for use with halogen bulbs, medium base fixtures, and candle lamps. After choosing the appropriate size and material for your Light bulb Sockets, you will also need to choose from our selection of styles, which determine how you will turn your bulb on and off. Styles include keyless, keyed, push-thru, pull chain, dimmer, three-way, and three terminal.